US expanded "Kremlin list". Russia wants to amend the deal with the US on incidents at sea and in the air. United States conducted a regular exploration of the Crimean coast and Russia: a published scheme of the route. US nuclear strategy and loss of confidence in Russia leads to a new arms race spiral. Siemens has appealed the decision of the Russian court in a lawsuit on the return of turbines from the Crimea. The number of solar power plants in private homes has doubled in Ukraine. After a downed fighter Su-25 Russia attacked houses and hospitals in Syria. Saakashvili lost appeal for refugee status. US expanded the "Kremlin list"
US Treasury Department expanded "Kremlin Report" to Russian businessmen and politicians by additional representatives of the "DPR" and "LNR" terrorists. According to Radio Liberty , nine so-called ministers from the ORDLO, one "deputy minister", as well as a former Luhansk official and his relative were added to the sanction list. In particular, it is a question of the "Minister of Income and Assembly of the Dnieper" Alexander Timofeev (Tashkent), "the Minister of Fuel and Energy of the Dnieper" Alexei Granovsky, the head of the Foreign Ministry Natalia Nikonovova and other "officials." The most skilful figure in this list is Timofeev, who is considered one of the gray cardinals of the "DPR". Also on the list is a non-public but influential figure - "former Deputy Minister of Fuel and Energy of the LNR Group" Oleksandr Melnychuk, who has organized a scheme for supplying coal from the occupied Donbass to the countries of the European Union. Recall that previously a tricky reason was voiced for the lack of new sanctions against the Russian Federation. Deputy Head of the Russian Foreign Ministry Sergey Ryabkov said that he expects the continuation of security talks with US Deputy Secretary of State Thomas Shannon, the start of which he met in Helsinki. He stated in an interview with Izvestia publication about him. First of all, according to Ryabkov, Moscow would like to amend the 1972 bilateral agreement on the prevention of sea and air incidents. The deputy head of the foreign ministry of Russia has actually publicly stated that they do not like the growing activity of American reconnaissance aircraft at their own borders. 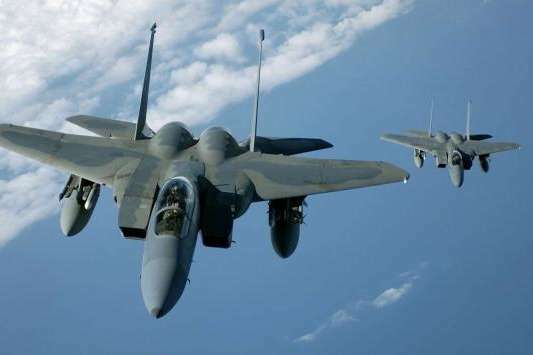 The reason for this dissatisfaction is that frequent flying of the aircraft in question allows us to collect the necessary information about air defense systems and the Navy. According to Ryabkov, the dialogue on these issues is more than ever important. In addition, with regard to military security, Russia would like to resume a US-led dialogue on missile defense issues. Sergey Ryabkov reminded in an interview that the preamble of the current Strategic Arms Reduction Treaty (START-3) referred to the inextricable link between the missile defense system and strategic offensive arms. However, as the deputy head of the Russian Foreign Ministry stated, Moscow and Washington have long negotiated on this issue. The American anti-submarine patrol boeing P-8 Poseidon conducted an exploration of the coastline of the occupied Kerch Peninsula and the Taman Peninsula of the Russian Federation. This was reported on the Aircraft Spots page on Twitter. "P-8 US Navy 169011 PS056 on a Black Sea task at a height of 25,000 feet (7.6 kilometers - ed)" - wrote there, having published a map. The scheme shows that the aircraft traditionally conducted intelligence while in the international airspace. Recall that less than a week ago, a scandal surrounding the interception by a Russian Su-30 fighter broke out in a dangerous manner by the United States intelligence officer Lockheed P-3 Orion over the Black Sea. Then the US published a video of the incident, which shows that the SU-30 flew a few meters from the nose of the reconnaissance aircraft. The new nuclear strategy of the United States and the loss of confidence in Russia leads to the promotion of a new arms race spiral. This is stated in a statement by the Minister for Foreign Affairs of the Federal Republic of Germany Zigmara Gabriel, commonly reported by the press service of the Ministry of Foreign Affairs, reports Tsensor. NET with reference to Ukrinform. "The decision of the US government on a new tactical nuclear weapon shows that the spiral of the new nuclear arms race has already been twisted, as during the Cold War, we are particularly vulnerable in Europe. That is why Europe should put forward new arms control and disarmament initiatives" , - emphasized Gabriel. He noted that in recent years the international security situation has changed dramatically. "The development of events in Eastern Europe due to the annexation of the Crimea has led to a serious loss of confidence in Russia. The fact that Russia is armed not only with traditional but also with nuclear weapons is obvious," the German minister said. Gabriel also reminded that Asia is also increasingly struggling with nuclear weapons and global order. According to him, the mutual acceleration of the development of a new nuclear weapon sends wrong signals and keeps the danger of unlatching the new arms race spiral. The head of the German Foreign Ministry stressed the need for strict compliance with the existing arms control treaties. "Instead of new weapons systems, we need new initiatives in the field of disarmament," the minister said. He assured that the German Government was making every effort to achieve progress in global disarmament. "Our long-term goal, as before, should be the world without nuclear weapons," the head of German diplomacy summed up. As reported , on February 2, the United States published an updated nuclear doctrine called the Nuclear Posture Review, which outlines plans for the Pentagon under the administration of Donald Trump on nuclear weapons. In particular, it envisages updating the key "nuclear triad" - intercontinental ballistic missiles, ballistic missile submarines and aircraft carriers of nuclear warhead bombs. The Pentagon is also proposing to develop new, low-power nuclear bombs that can be launched from submarines or ships, and therefore, Washington will not necessarily rely on placing an arsenal in Europe. Appeals appeal is scheduled for March 1. As the Censor.NET with reference to Crimea.Realia , in Moscow, the arbitration court of appeal has admitted to the consideration of the complaint of Siemens and its subsidiary Siemens technologies of gas turbines on the decision of the Moscow Arbitration on a dispute with the structures of Rosteha on the supply of German turbines to the Crimea concern, the Russian media reported, referring to the court materials. The German concern Siemens and another subsidiary in Russia, Siemens Gas Turbine Technologies, are judged by Rostech's divisions, two companies with the same name TechnopromekSport (OJSC "TehnopromekSport" and TechnopromekSport LLC), on four gas turbines of the German companies that were in the annexed Crimea. Siemens notes that, under the contract, the turbines were intended for another thermal power plant in Russia, and this contract explicitly precludes the possibility of transporting them from Russia to the Crimea, as the EU sanctions apply to the peninsula. The Russian side claims that after one of the two "Technopromeksportov", with whom the contract was concluded, resold the turbines to another "Technopromeksportu", these turbines are already considered "purchased in the secondary market" and they no longer relate to restrictions on the original contract. On December 10, 2017, the Moscow Arbitration Court dismissed a subsidiary of Siemens concern in a lawsuit against the structures of the Rostelex Corporation for the invalidation of contracts for the supply of gas turbines, which were subsequently transported to the Crimea. Earlier, in December 2017, the same court dismissed the suit of the German corporation Siemens to return to Russia from Crimea four gas turbines brought to the peninsula in violation of the agreements. And in November 2017, this court for the third time rejected a lawsuit on the arrest of these turbines. About the import of four Siemens gas turbines for construction in Sevastopol and Simferopol, TES became known in early July 2017. After that the concern has declared, that has stopped delivery of the equipment to the Russian companies which are under control of the Russian state. And the EU, through this incident, has extended sanctions against Russia. In total over 3 years in Ukraine 3010 private households have installed solar power plants with a total capacity of 51 MW. About 2,000 households in 2017 installed solar power at their homes, which is twice as much as in 2016. According to UNIAN, the press service of the State Agency for Energy Efficiency and Energy Conservation of Ukraine informed UNN. It is noted that over the past three years in Ukraine 3010 private households have installed solar power plants with a total capacity of 51 MW. Private households have invested nearly 52 million euros in installing solar panels. "In particular, in the 4th quarter of 2017, despite the winter period, 687 households gave priority to" clean "electricity, which is 30% more compared to the third quarter of 2017," the report said. The press service recalled that households that installed stations with a capacity of 30 kW in 2017 could sell electricity at a rate of 18.09 euro cents per kWh by 2030. After the rebels in Syria managed to bring down the SU-25 VKS Russia , the Russian air force carried out massive raids on Syrian cities, destroying hospital and residential buildings. Air raids struck the town of Kafr Nubl and Maasran and city Sarak'eba, Maarath al-Numan and Idlib is likely to be killed and dozens wounded. According to witnesses, one of the shells hit the hospital Maarath al-Numan. The video taken by the rescuers shows both the damaged hospital on a stretcher endure babies while others try to extinguish the fire. According to one witness, the town of Idlib was destroyed five-storey building, which under the rubble could die at least 15 people. One residential building was demolished in Kafr Nubl, which killed five people. The leader of the Movement of New Forces party, Georgian ex-president Mikheil Saakashvili lost his appeal to receive refugee status in Ukraine. The relevant decision was approved by the Kyiv Administrative Court of Appeal. The court recognized the legal refusal of the State Migration Service to grant refugee status or a person in need of additional protection policies. "Thus, I lose the status of being in Ukraine. This is the next decision of Poroshenko, not the court, "Saakashvili said on Facebook. According to Saakashvili's lawyers, such a decision gives the Ukrainian authorities the basis for a possible extradition policy. At the same time, the Ministry of Justice extended the term of Saakashvili's extradition examination at the request of Georgia's law enforcement agencies to complete the consideration in the courts of all cases concerning deprivation of citizenship and its status in Ukraine. "I recently received a response from the Ministry of Justice of Ukraine that the extra-judicial examination was continued for as long as the judgments on the State Migration Service are being considered, as well as the citizenship of Mikheil Saakashvili. We hope that the authorities will adhere to all terms until all the courts are completed, "said Saakashvili's lawyer Ruslan Chernolutsky. Recall that in December last year, Mikheil Saakashvili, a deprived citizen, was detained in Kiev.